In this two-part blog we are going to be looking at Maxi scooters. As the name implies a Maxi scooter is much like the scooters you're used to seeing zipping about urban areas only scaled up in size and power to create something with its own unique style and feel. These Maxi scooters are still fantastic commuters and retain the ease of use, mobility and economic performance associated with the scooter category, but add an extra layer of versatility on top. The increase in size offers greater stability for a smoother and more comfortable ride while the larger engine makes longer commutes and trips down the motorway far more manageable. 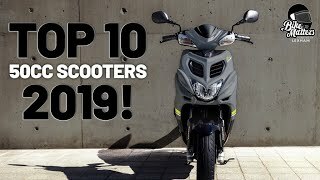 This week we're looking at 300cc scooters and in part two we'll check out some of the even bigger scooters on the market. 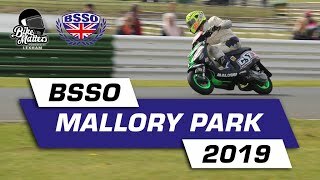 With the introduction out of the way let’s take a look at some of our favourite big scooters! Taiwanese manufacturer Kymco have been making scooters for the UK market for 20 years now and during that time have grown from strength to strength. Having produced parts for Honda in their early days, Kymco have also been key manufacturing partners with big name companies like BMW and Kawasaki in recent years, so it's no surprise Kymco's own models can stand shoulder to shoulder with the best of them. The X-Town 300i was a brand new scooter for 2017, an evolution of their popular Downtown 300 model built to meet the new Euro 4 regulations while still offering performance and design enhancements. The look of the X-Town 300i is familiar enough to be recognisable to fans of the Downtown but it has a slimmer and slightly more angular design that modernises and freshens it up. On top of that it features a unique X-shaped LED tail light that's very distinctive with twin LED head lights up front completing its styling nicely. The X-Town has an LCD display, new multi-spoke aluminium wheels - 14" at the front 13" at the back, leather seats with a spacious under seat storage area that can hold 2 full faced lids, 5 setting adjustable rear shocks and BOSCH ABS. 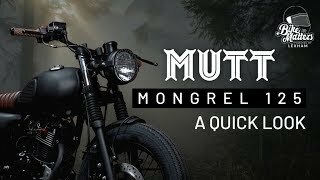 The 276cc four stroke, single cylinder engine can reach top speeds of 80mph with a fuel economy of 70mpg making a regular commute as well as long distance travel no problem. All this and its one of the cheapest models in the list at £4,599. The name Piaggio is synonymous with scooters and one of the most instantly recognisable brands on the market. The Beverly 300 is in their own words the 'creme de la creme' of their high wheel offerings and comes in several variations, including a collaboration with Italian fashion house Police, which indicates straight away one of the scooter's key features - its unique Italian design. The sophistication doesn't end with its looks however, the Beverly 300 ABS-ASR is designed to perform well in all conditions utilising a traction control system that employs sensors on each wheel to detect any adhesion loss and adjust torque accordingly. ABS brakes, remote seat unlocking with two large compartments for storage, a bike finder that will help locate your scooter in a busy parking area, LED lights and highly economical fuel consumption, round out an impressive package with a very competitive price tag of around £4,399. Yamaha's MAX range has been hugely popular in Europe for a while now with the XMAX 250 being a top seller since its launch 11 years ago. The coming of Euro-4 emission regulations meant that a brand-new replacement for the 250 arrived in 2017, the XMAX 300. The decision to increase the engine size was a smart move as 300cc scooters have been gaining in popularity and the increase allows the new model to be an upgrade over its predecessor in every way, despite the new stricter regulations. Along with the more powerful engine the XMAX 300 features a new chassis and a frame that's actually lighter than the previous 250 version. The XMAX 300 has plenty of modern features including ABS and traction control, it also uses motorcycle style front forks like its big brother the TMAX for increased stability and a more agile sporty feel to its handling. The increased power and sportier performance of this model make for speedy commuting and combined with adjustable handlebar and screen positions and a luxurious seat, long distance rides are a pleasure as well. One unique feature of the XMAX is a keyless ignition system, allowing the scooter to be unlocked and started by remote similar to a car. This one sits at the top of the price range at £5,199 which is motorcycle territory, but it also offers motorcycle performance and features. The first thing the Vespa GTS 300 has going for it is that it's a Vespa. Vespas are truly iconic in the scootering world and the GTS takes its design cues from the classic PX, in fact post Euro-4 it's currently about as close as you can get to a new PX and that is a major selling point in itself. While you have a classic stylish Vespa look, the GTS's 278cc liquid cooled, single cylinder four-stroke engine can reach a top speed of 82mph and cruise at 70 all day long making it equally at home on a commute or touring longer distances, great for enthusiasts travelling to rally’s. The GTS comes with ABS as standard, the same ASR traction control system seen in the Beverly and adjustable suspension so despite its classic looks there's no shortage of modern tech. Another thing not to be taken lightly is the comfort of this model, both single and two-up riding can be done over long distances in luxurious comfort which further adds to the all-round appeal. The only downside I can think to the Vespa GTS 300 is the price tag, at £4,899 it's at the steeper end of the 300cc market but Vespa enthusiasts will find it well worth the money. The Honda SH series has been around for over 30 years now and in that time more than a million units have been sold across Europe and the latest model, the SH300i looks set to continue that trend. For me the SH300i is similar to Honda's CB range - it’s not the best looking in the class, but the all-round performance and famous Honda build quality make up for it. That being said the SH is by no means a bad looking scooter having recently been updated for 2016 but the most important update was the new Euro 4 compliant engine. A Liquid-cooled 4-stroke single with Honda's PGM-FI electronic fuel injection makes the scooter not only extremely economical but also one of the best performing on the list as well with top speeds of 91mph. The engine has been designed with powerful low-end torque to make pulling away from lights faster and smoother which is great for commuting and although you won’t be using that 91mph on UK roads it does mean cruising at the legal limit will be smoother and burn less fuel. The 16” wheels make for a confident ride and an impressive amount of lean. ABS come as standard and although it is missing the traction control of some of the other scooters on the list, most of the modern features expected of cutting edge scooters are present. Priced at £4,799 The Honda SH300i is another great addition to this list. Another Taiwanese manufacturer making great scooters that easily keep up with the competition in terms of quality, is SYM. Sanyang Motor are well known for the cars they produce under the Hyundai brand, their two-wheel offerings are released under the SYM brand and the Joymax 300i is great example. The Joymax has all the features you've come to expect in a maxi-scooter - tight modern aesthetics, nippy handling and acceleration, ample storage space, ABS brakes, LED lights, strong commuting and touring performance. LED indicators integrated into the mirrors are a nice touch that look good and allow for high visibility. Electronic fuel injection is another nice feature in the Joymax 300i that increases fuel economy and a warm air outlet in the footwell is a welcome addition to UK commuters who will be doing a fair amount of riding on cold days. A large ergonomic seat with adjustable back rest creates a level of comfort that can be hard to find on a motorcycle, combined with the increased stability of the 14" front and 13" rear wheels and you have a very comfortable ride which can handle anything you throw at it. A price tag of £4,999 makes this one of the pricier offerings but also one of the most luxurious. If you like the sound of any of the models discussed here, then why not look for your nearest dealer and find out more? If you need an insurance quote, Lexham specialises in scooter insurance so be sure to get a quote direct for the best prices! See you next week for the Best Maxi Scooters Part 2!